Thank you for helping us build Windows 10! The Insider program has been a great success with more than 5 million registered Insiders from around the world. As an Insider, you have truly co-created Windows 10 with us. 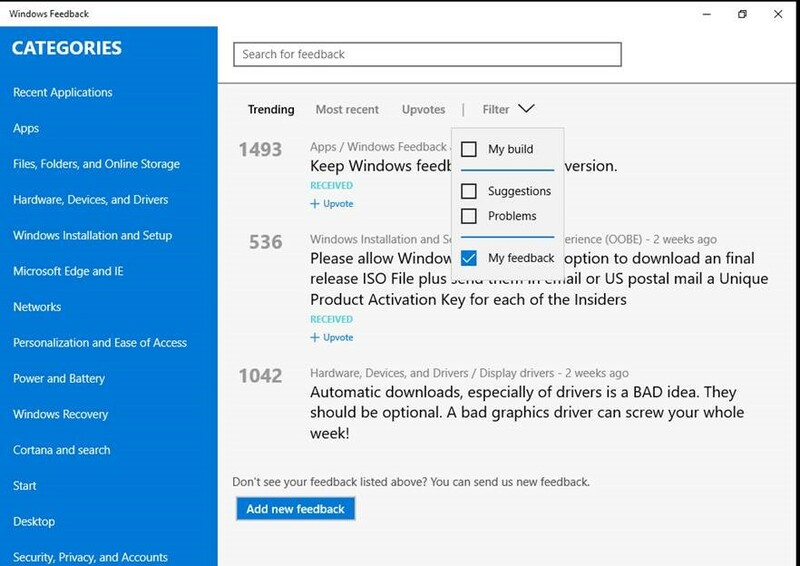 · Only Insiders will see Insider Feedback, have the ability to add a screen shot, reproduce a problem, and filter feedback by build. We’re also taking this opportunity to clear out the older feedback that we received earlier on in our product development cycle so it will no longer display in search result. 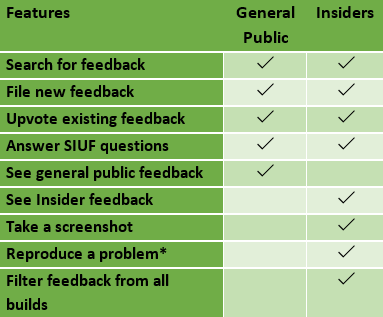 Don’t worry, your feedback will still be in our backend system and will continue to be used by our engineering teams to make improvements—you’ll still get credit for your contributions in Insider Hub, too. You can always view a full history of your feedback under My feedback with a special Archive demarcation for pre-release feedback.